Furthermore, this TV would only recognise specific USB cameras by Samsung (the vendor recommends the model VG-STC4000). Not only it's expensive (it costs about € 100), also finding it proved to be a challenge. I failed to find one in an online store, so eventually I bought the recommended model via eBay. Samsung VG-STC4000 camera with the open shutter. It's also equipped with a stereo mike and a mechanical shutter, which covers its watching eye when not in use, should you be worried about your privacy. Samsung VG-STC4000 camera with the closed shutter. Virtual Mirror in fitness applications. 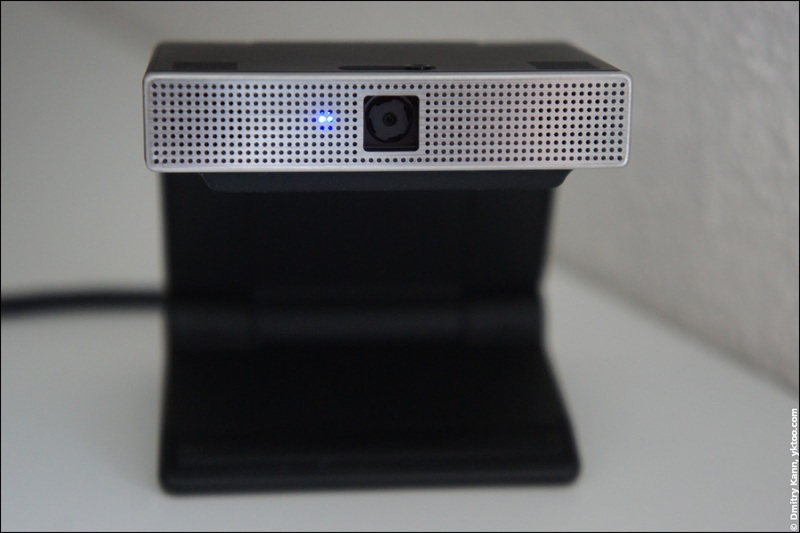 A blue LED indicates that the camera is active. 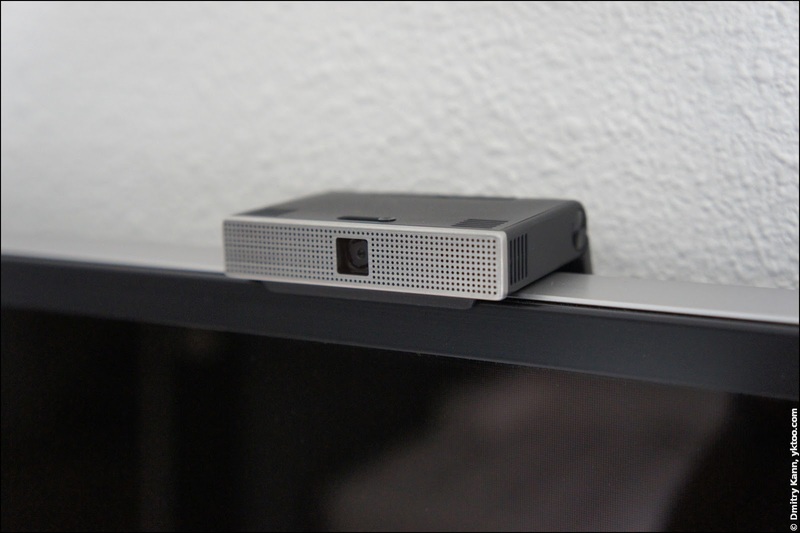 A bizarre device named One Connect Box or UHD Evolution Kit, model SEK-2500U allows one to transfer all the TV connections onto this external box, whereas it only needs a single cable to connect itself to the TV. Samsung SEK-2500U UHD Evolution Kit, front view. In addition to the same connectors already available on the TV, the Evolution Kit supports HDMI 2.0, HDCP 2.2 (Intel's version of DRM technology), the MHL 3.0 mobile AV interface and the H.265 codec (a.k.a. HEVC, which is already available in this TV). Samsung SEK-2500U UHD Evolution Kit, rear view. The price tag is staggering four hundred euros. It also features a tiny touchpad. The price is, like with the camera, about a hundred euros. 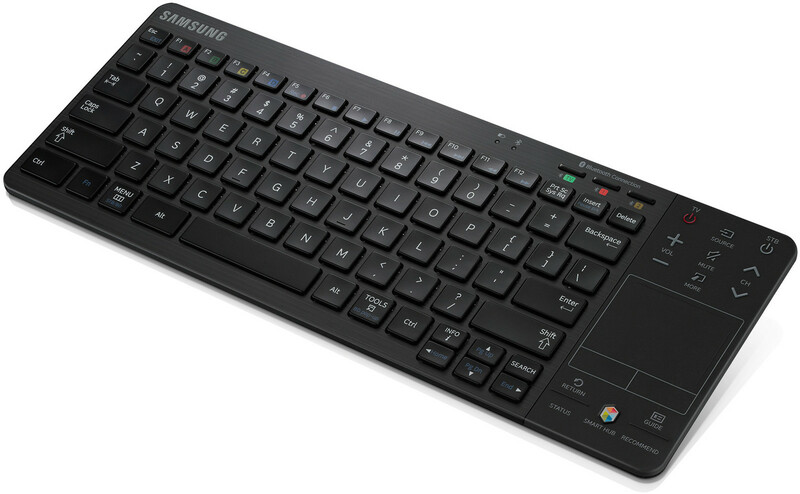 As I mentioned in the previous part, the TV also supports standard USB and Bluetooth keyboards, but then you'll need to memorise that F8 is Pause and F2 is the "green" key. If you need more, you can by them at some 25 euros per pair. 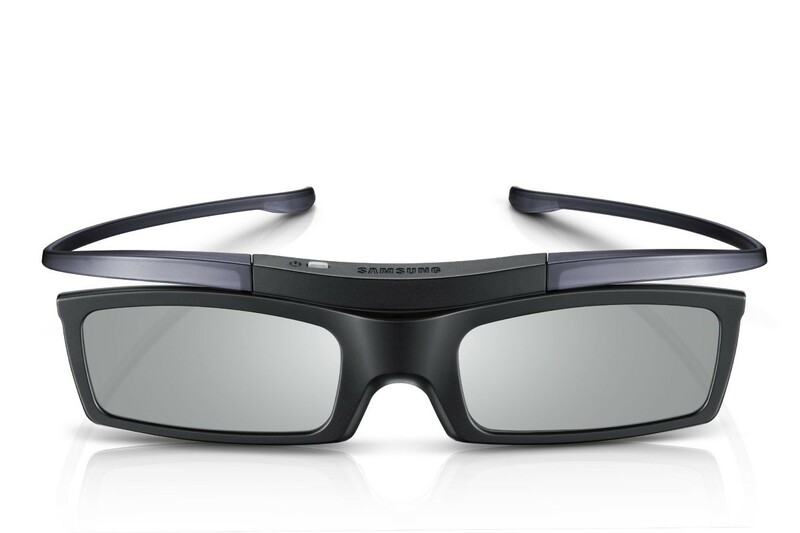 The glasses are active and require a CR2025 battery, which, according to Samsung, should last for 150 hours of operation. Before first use one has to assemble it, since the arms are detached from the body. 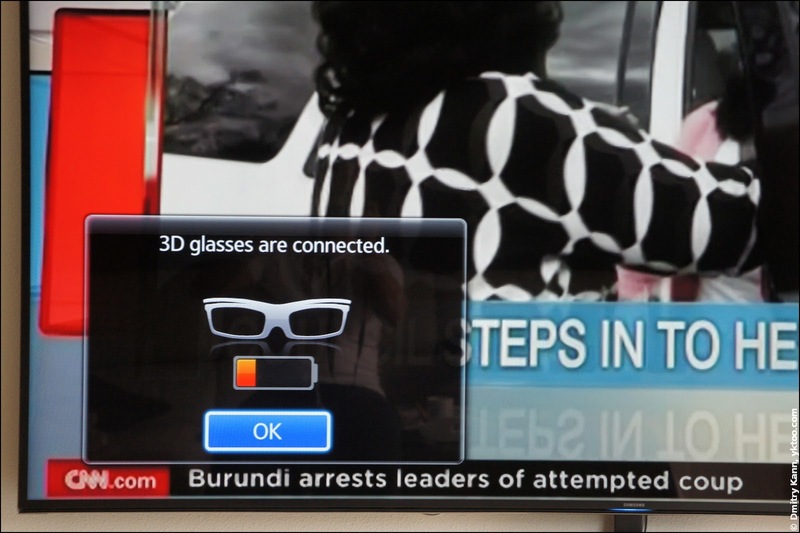 To switch the glasses on, you push the tiny white button at the top—the button lights green, and the TV displays a connection notification. The viewing distance is two to six metres (6.6—20 ft) from the screen. If you push the button again, the glasses turn off and the button turns red. The TV can connect to Bluetooth headphones and external speakers. This is pretty straightforward and done via the Sound Settings menu. As soon as the connection is established, the internal speakers are automatically muted. Also the TV starts to ignore volume change and mute commands—it is assumed one should use Bluetooth device volume controls instead. Which is not always handy. 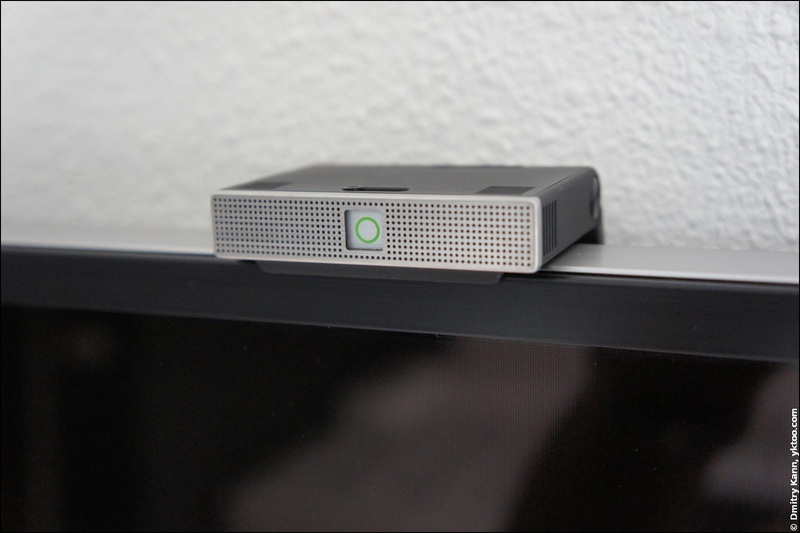 It can also send the audio to Multiroom Link compatible devices, such as soundbars and subwoofers. I don't have much to say in this regard as I'm only considering buying some at the moment, so more on this to follow.